Camping Elba - Looking for campsites? Seach here! 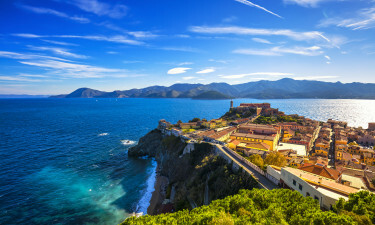 Elba is an island located within the Tuscany region of Italy that boasts an amazing climate, wonderful beaches and a host of natural attractions. Contact Lux-Camp to learn more about the luxury camping opportunities to be found here. Why Should I Choose a Luxury Camping Site in Elba? A popular area for cyclists. Thanks to a variety of landscapes such as rugged interior mountains and sandy beaches within secluded areas, many choose Elba when camping in luxury is desired. While the natural attractions and the climate are both unforgettable, this island is also steeped in history. Tracing its roots back to Roman times, Napoleon himself was exiled here in 1814. Elba is famous for its countless beaches which surround the entire island. Some of the most notable include Cavoli, Sansone, Fetovaia and Chiessi. 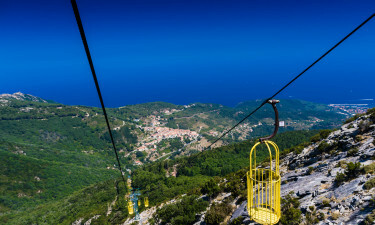 The largest natural park on Elba is Parco Nazionale Arcipelago Toscano. Here, there are numerous species of birds as well as a host of interesting flora that can only be found within this temperate climate. An Elba camping holiday is made even more memorable thanks to the attractions to be experienced here. Known for its natural beauty, Elba is home to innumerable hiking trails which can be leisurely enjoyed throughout the year. Scuba diving, snorkelling and windsurfing are also popular sports. 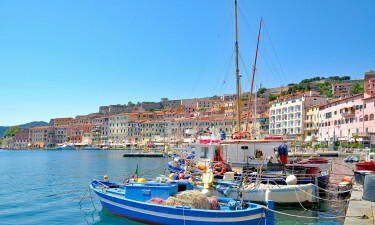 Local villages such as Marina di Campo provide some unforgettable shopping experiences as well. Any luxury camping site is made even more enjoyable thanks to the cuisine and the culture of this island. Many of the dishes here reflect a decidedly Mediterranean flavour; mussels and seafood are quite common while a pasta known as pacceri is particularly delectable. Thanks to a moderate climate, Elba Aleatico wine is also quite tasty; ideal to wash down any meal. This camping luxury is made even more agreeable thanks to the rather friendly nature of the local residents. They are quite open and appreciate the presence of tourists.